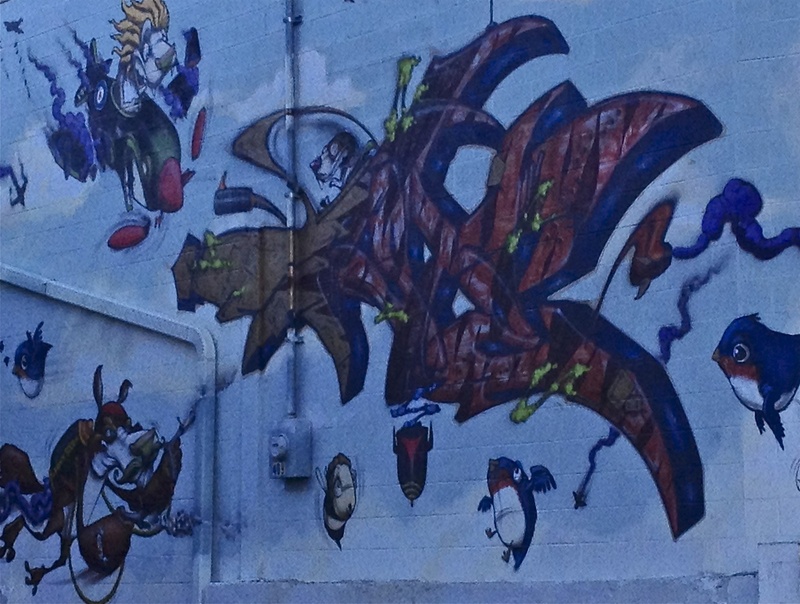 Graffiti can be found throughout Kansas City. Recently I discovered another treasure trove of graffiti art. Hope you enjoy it. Clever, don’t you think? I wish I knew the artist, but you will see s/he is identified immediately below the shark in the third photograph. This entry was posted in Legal and Government Buzz and tagged Broadway, Cartoon Art, Graffiti, kansas city, Urban Art, Wall Art. Bookmark the permalink. These are wonderful! Thank you to both you and the artist. that IS very cool! if you ever make it out to LA, we can have a fun street art tour here, too! What a great trip that would be. I suspect LA has a highly sophisticated culture of wall art.